Unique cities in Rome 2? Thread: Unique cities in Rome 2? So my reaction was: "What the heck??? Unique settlements in Rome 2? Why have I never seen these in game before???" So I jumped back into the game to give this new "Emperor Edition thing" a go, started a new campaign playing Rome, and charged straight towards Carthage expecting the glorious sight of an amazing unique settlement. Alas, I was greeted with yet another boring, generic settlement pretending to be Carthage. No unique settlement, NOTHING. So what am I missing here? Why have I never seen these unique settlements before when I captured all of those towns in my previous campaign? Is it a new feature of Emperor Edition? If so, why didn't Carthage look like those pictures in my campaign? Have these unique settlements been actually implemented in the game or is it another broken promise from CA? 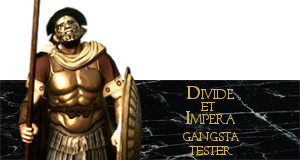 Re: Unique cities in Rome 2? Was the city owned by another faction or not expandet? The Custum cities in battle also grow in size as the settlement grows, so if you attack it right away it wont be very large. Still unique, but not large. Thanks a lot for the info Tenerife_Boy, it explains a lot. I looked around on google to find some explanation on this but couldn't find anything concrete. So I guess when I attacked Carthage (which was still controlled by the Carthaginians to answer your question Gebilde), it was too underdeveloped to look much different from a generic city. But this raises another question though: Now that I control Carthage, if I develop it to Tier 3 as a roman, it will look like a generic T3 roman capital right? Or will it still look like the unique Carthage? Generic Tier 3 roman city I guess. Ok, thanks for all the info. And for the screens as well. They're great. There's also a unique city that hasn't been included in the pics: Pergamon. Also, Babylon can't be found on the campaign map as a city, with Seleucia using Babylon's appeareance instead. Some other unofficial unique cities exist too, e.g. Petra, Ancyra. Babylon looks like a walled village though, like a poor hamlet with hardly any population but stone walls around it. I raised this point back in 2013 about CA's utterly lazy job they did with some unique cities, though fanbois were raging their arses very hard back then so it got conveniently ignored. Please rep me for my posts, not for the fact that i have a Pony as an Avatar.